I am confident this will not be a best-seller, but I am tardy in mentioning the publication of Bleeding Talent here on our blog. Although Glenn and I are in the thick of completing our second draft of BALANCE, I am proud to share the news that the first book I’ve written was just published earlier this month by the academic publisher Palgrave Macmillan. It’s on sale at Barnes and Noble and Amazon (though you can get a much better price at B&N). I started researching military leadership roughly three years ago based on a little paradox that I noted more after I left the ranks than when I was a young officer myself. The U.S. military is widely and correctly perceived to be a source of great leaders. It is also known as the best institution in the world for educating and training raw leaders into excellent, insightful, and indeed creative leaders. Why then is the Pentagon so miserable at managing its awesome human talent? How can the Army can break-up the institutional concrete, its bureaucratic rigidity in its assignments and promotion processes, in order to retain, challenge, and inspire its best, brightest, and most-battled tested young officers to lead the service in the future? I was advised by some agents to write this book for a mainstream publisher by cutting the appendix with details of a survey of 250 West Point graduates, cutting the chapter about how the bureaucracy really (doesn’t) work, and cutting the history of personnel policies dating back a hundred years. I was told to exorcise the word methodology. But I knew that if the ideas I propose were to have credibility and time to marinate in the minds of young officers today who will serve as generals tomorrow, then those things had to remain in the text. So God bless Palgrave for publishing this with all of its scholarship, such as it is. There are nine chapters. Chapter 3 is probably my favorite because it shares the biographies of half a dozen famous Americans who would never make rank in today’s military: George Washington spent decades as a civilian entrepreneur before taking on a general’s rank; Robert E. Lee was an engineer not a warrior; Jim Gavin was too young; Dwight Eisenhower was an old staffer. Chapter 7 is my attempt to talk about the philosophy of war. Coercion has been the bedrock of armies since mankind first organized for battle. Still today coercion dominates the way soldiers are organized by the Pentagon, even though motivation is how they are led on the field. Odd, no? Americans are led like the volunteer heroes they are, but their careers are managed like cogs in a machine. There’s no excuse for it, only a lack of imagination and a dumb deference to the way it has always been. In Chapter 5, I describe an alternative set of principles for organizing human capital in the military. Instead of an All Volunteer Force (where the voluntary nature of service lasts for a single day — the first day), I propose a Total Volunteer Force where autonomy and dignity replace coercion and the false idol of “service above self.” Don’t get me wrong. I’m all for duty, honor, country, but no longer believe they are operational involuntarily. Again, my sense is that even the highest ranking officers in our military know their system is broken, but they have never had an alternative in the broadest strokes. Now they do. What’s so great about Scandinavia? Well, Scandinavia is actually much more free market-oriented than most people realize. Capital is allocated by the market, the government doesn’t own companies, regulation is usually light, corruption is non-existent. Companies can hire and fire easily, labor moves around. But these countries do tax a lot and spend a lot – on education, childcare, health and other things. That’s from a CNN blog by Jason Miks. Well said. 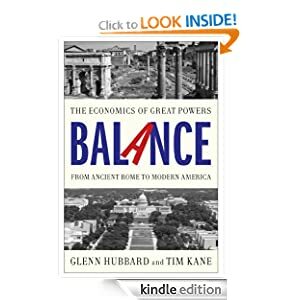 We talk about Scandinavia quite a bit in the book because, as Glenn says, “An epic history has to be more than a carnival of failure.” And when we thought of a shining example of a region that regained its economic balance, Sweden and its neighbors stood out. One of Illinois’ greatest problems, for instance, is that it has not been able to afford its pension system for years. Rather than reform it by reducing its costs, however, Illinois has borrowed money to finance the system. But Illinois is hardly alone. These kinds of pension borrowing have become common throughout state and local finance despite general agreement that they are risky and often accomplish little except to kick the funding problem down the road. In the last 25 years states and cities have issued more than 3,000 pension bonds, racking up some $60 billion in obligations. Most worrisome, perhaps, is that the practice of funding pensions through debt grew more common after the fiscal meltdown of 2008. In the wake of those woes, pension borrowings increased from about $1.6 billion in 2009 to $3.8 in 2010 to $5.2 billion last year. … School districts around the country, for instance, have taken to funding their building and repair projects by issuing what’s known as capital appreciation bonds which don’t require any repayments for 20 years, but are extremely expensive to pay off over their 40-year life. One school district in California, Poway, borrowed $105 million to finish a construction project but didn’t want any new debt payments on its balance sheet in the immediate future so it issued these CABs. Final tab to repay the debt over 40 years: $1 billion. … One of the principal differences between bankruptcy in the private and public sectors is that governments that become insolvent don’t get liquidated. But in Michigan, some state legislators are now proposing that perhaps it’s time to disband municipal Detroit government and break the city up into a series of smaller communities that might better govern themselves.